So let’s gay the hell outta Christmas proper with some entertainment, laughter and love. The stars of the show included Krystal Methatic, Jessica Murray, Lulu Liscious, Regina Flores and Hazel Macchiato. Oh good lord. 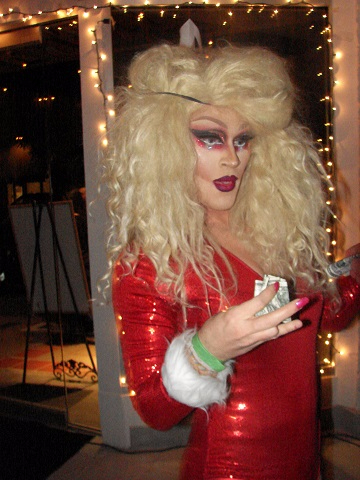 If I were a drag queen, I would be terribly offended by the pathetic, even mocking, attempt at drag I see here. Oops! Where are the rail dragsters? Nobody here even looks like they can pilot one? There must be come confusion going on here?